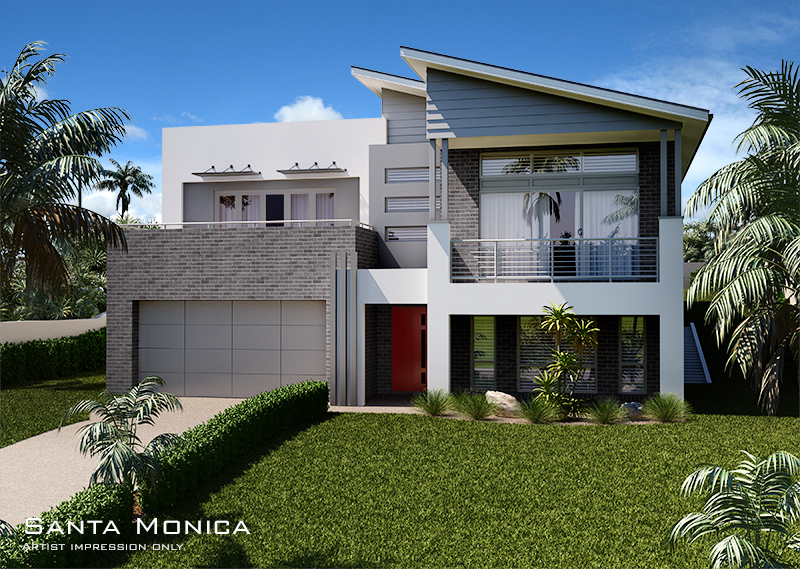 The Santa Monica MKII upslope design is one of our new designs with a contemporary Metro façade. 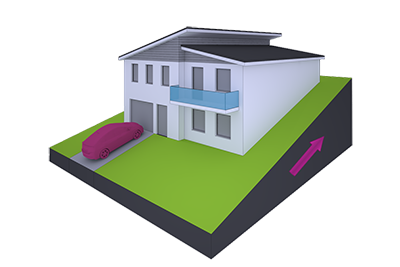 The design boasts the modern architecture of a smart looking Skillion roof profile with colorbond metal roof sheeting which acheives great street appeal. The entrance is enhanced by a substantial portico and 1200mm front door. 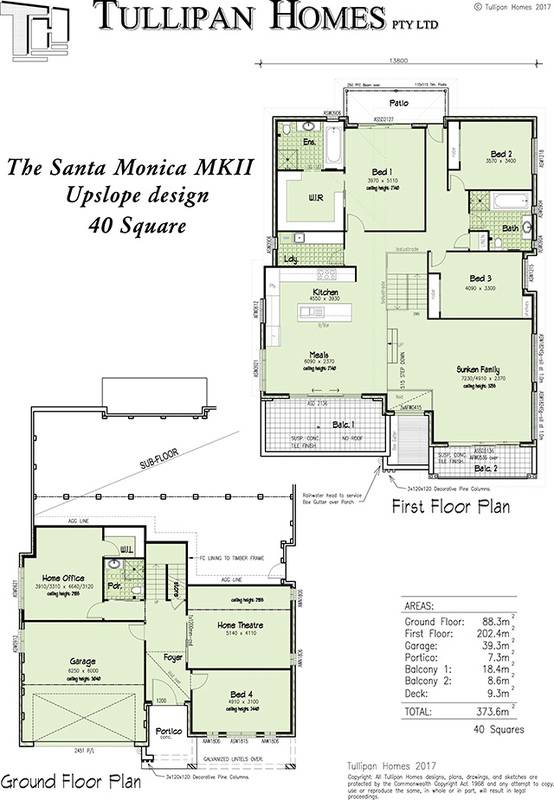 Here open plan living and dining suit both entertainers and large families. The fully equipped kitchen accommodates the most discerning chef with a large open plan layout including wide Island bench and a corner pantry. The lower ground floor area offers a spacious Home Theatre & home office. The Living areas on the upper 1st floor span across the full frontage of the home site, gaining full potential of any elevated views that your site has to offer.